Bored with your apps, looking for something new? Check out these 56 iPhone and iPad apps that were just released. 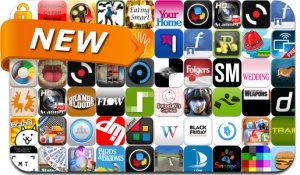 This new apps alert includes Happy Jump, Dental Surgery, Battle Cats, Folgers Wakin'Up, Want, Decide Shopping & Price Predictor, Steve Madden, Ferrari FF, InstaStatus, Instacanvas Gallery Manager, Looloo, DataNow and many others.